The Fairleigh Dickinson University Florham Women’s Soccer Summer ID Camp is an enticing full-day training program for all girls 15 to 18 years old. It will be on the 18th of June at the Robert T. Shields Field/Stadium in Fairleigh Dickinson University Florham campus. This ID camp is an exceptional staging ground for players who want to step-up their game in the college level. It will provide a high level and competitive soccer environment for both field players and goalkeepers. In addition, all the instructions and sessions will be under the supervision of the Fairleigh Dickinson University Florham women’s soccer coaching staff. Participants need to bring extra clothes, shin guards, cleats, rain gears, and sneakers. Fairleigh Dickinson University is a private, nonsectarian, coeducational university. It has two campuses in New Jersey. They are the Madison and Florham campus. The university is a member of the National Association of Independent Colleges and Universities. It has one of its earliest accreditation from the Middle States Association of Colleges and Schools. Furthermore, the university is 64th in the Regional Universities North, 2018 edition of Best Colleges rankings. Fairleigh Dickinson University is also 22nd in the Best Value Schools rankings. It is offering around 100 100 undergraduate and graduate degree programs. Currently, it accommodates around 12,000 students. The student to faculty ratio is 13:1. Moreover, Fairleigh Dickinson University athletics nicknames are Knights for the Madison campus and Devils for the Florham campus. Blue and red are the school’s identity colors. Kristin Giotta is the Head Coach of the Fairleigh Dickinson University Devils women’s soccer program. She is already in her 12th season at the helm of the Devils women’s soccer. Coach Giotta is the 2010 Freedom Conference Coach of the Year. She is also a USSF National ‘D’ License and a NSCAA Advanced National Diploma holder. Then, the Devils women’s soccer Assistant Coaches are Katy Fissel and David Farmer. Finally, Mike Lyons and Brittni Calleo are the team’s Volunteer Assitant Coaches. 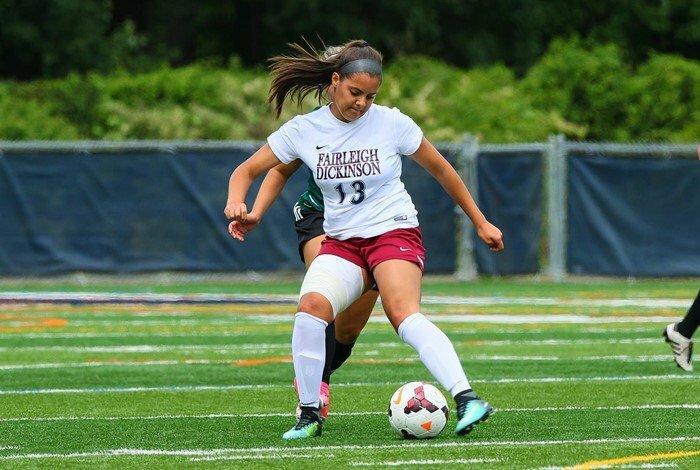 The Fairleigh Dickinson University Florham Women's Soccer Summer ID Camp is a staging ground for players to step-up their game in the college level.